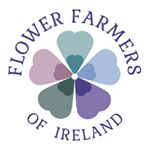 This intensive workshop will cover all the basic areas you’ll need to know about growing your own cut flowers. We’ll cover soil & bed preparation, sourcing seed, choosing varieties, growing from seed, supporting & staking, feeding, pest & disease, cutting & conditioning. Course cost includes all materials (you’ll be going home with a few plugs to plant in your own patch! ), refreshments & handout. These will be small classes for effective learning, so booking with a deposit (€15) is essential.